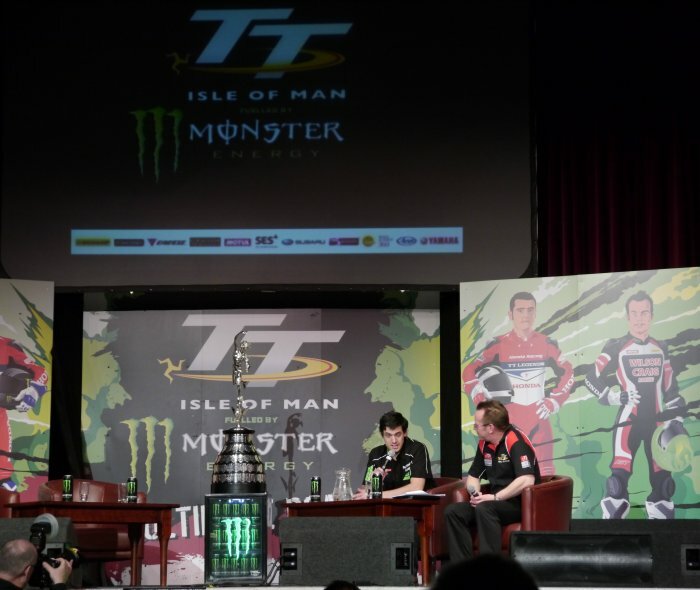 There will be a new name on the trophy following defending champion Ryan Farquhar's decision to retire from the sport but lap record holder Michael Rutter and James Hillier, who finished runner-up, will both start the race. Hillier, as with the other TT race classes, will again be going off at number 1 followed by Cameron Donald and McGuinness but the first change comes at number four where KMR Kawasaki’s Jamie Hamilton, last year’s winner of the Newcomers Trophy, will start. Russ Mountford, fifth in the corresponding race in 2012, goes at 5 as he again looks to upset the established order in the class while Michael Dunlop and Gary Johnson will again be at numbers 6 and 7 respectively. Last year’s third placed finisher Rutter will be at number 8 on another of Ryan Farquhar’s KMR Kawasaki’s with Ivan Lintin, like Mountford, given a top ten start number at 9 on the back of his result last year. Cummins is an intriguing entry at number ten but is another potential race winner. The evergreen Chris Palmer will be back on the TT start line at number 11 just ahead of the two Dans, Kneen and Cooper, with Dean Harrison, Ian Lougher and David Johnson again at 14, 15 and 16 respectively, with Australian Johnson on the Chinese WK machine, the first appearance by a Chinese bike. Dave Moffitt (17), Ben Wylie (18), Olie Linsdell (19) and Lee Johnston (20) complete the Lightweight top 20. "The class goes from strength to strength after last year's inaugural race and the entries from John and Conor are only going to increase the competition at the front of the field. It's a great entry level race and there are very few machine advantages on the grid which gives all the competitors a real chance of a TT title or at least getting on the podium or winning a replica."